Thanks to our friends at Great Masters of Time, the Italian Espace F.P.Journe based in Milan, we recently had the opportunity, and the pleasure, to spend some time with an exceptional creation of F.P.Journe, the Octa Quantième Perpétuel (Perpetual Calendar). The Perpetual Calendar is one of the most exclusive and appreciated watchmaking complications. Differently from simple or annual calendars, a perpetual calendar displays the exact date of the year by automatically taking into account the variable length of the months and even the leap-year cycle. It also displays the day of the week and the month. To achieve this outstanding feat, the movement must have a mechanical “memory” of 1461 days or four years thanks to a mechanism which is usually based on a differential gear system from the hour wheel and includes several hundred components, cogs, gears, levers and rockers. Implementing such a complication and make it work reliably is by itself a big challenge but that is not enough. 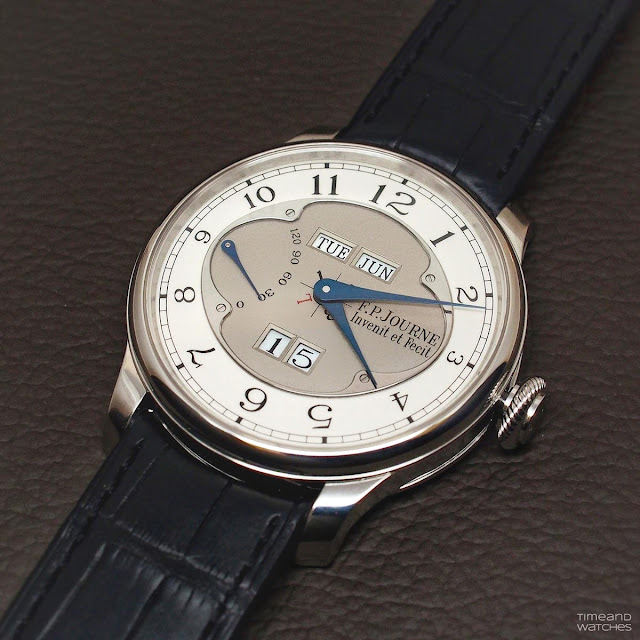 A good perpetual calendar watch should also insure optimal readability and ease of use. The new F.P. 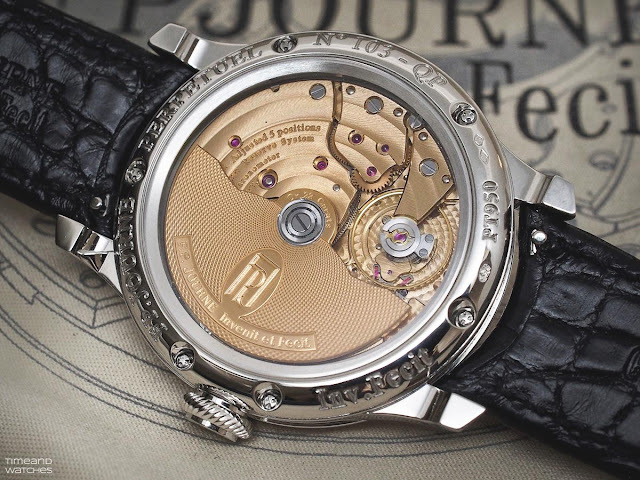 Journe Octa Quantième Perpétuel, the ninth creation of the Octa collection, excels in all of these characteristics. In fact, it offers perfect readability through an uncluttered dial with large central apertures: two for the day and month calendar, and a large date in two windows. The calendar indications change with an instantaneous jump thanks to the ingenious F.P. Journe system which accumulates energy and releases it in a flash when the date, day or month changes. The F.P. 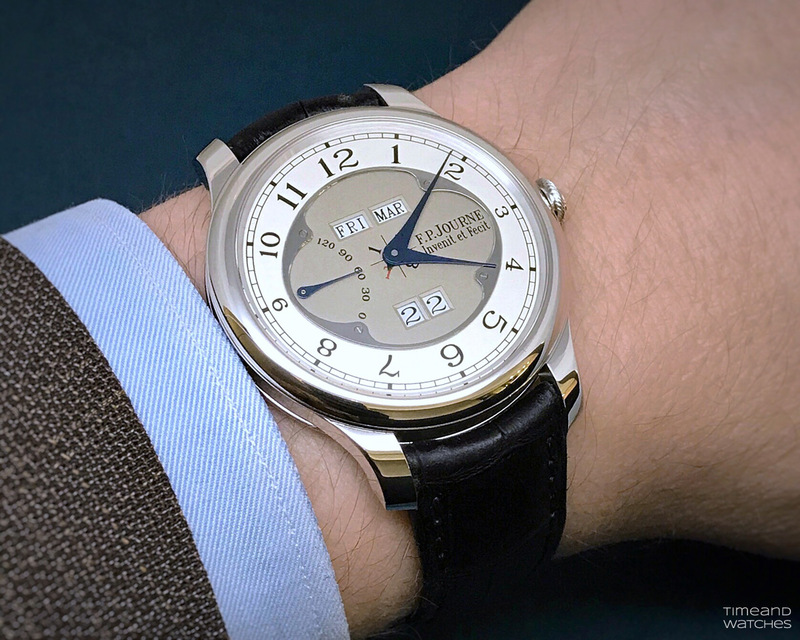 Journe Quantième Perpétuel is also very easy to use. All corrections are made using the three-position crown, except for the rapid correction of months, which is carried out by a protected and hidden corrector lever beneath the lug at 1 o’clock, thus facilitating the adjustment over four years without needing any specific tool. This is a truly elegant solution, both technically and aesthetically. Much better than having correctors on the caseband. The leap year indication is placed in the centre of the dial, just under the hour and minute hands, with the leap year (L) shown in red and years 1, 2 and 3 in black. In addition to the hours, minutes, day of the week, month and date, the F.P. 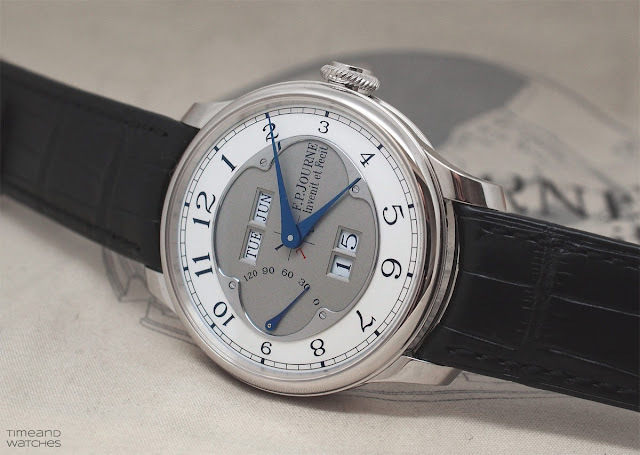 Journe Quantième Perpétuel also indicates the power reserve through the retrograde arched display at 9 o’clock which is visually balanced by the F.P. 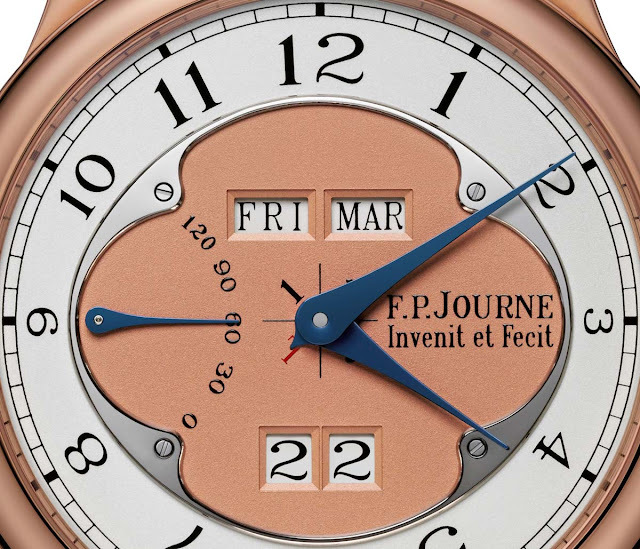 Journe logo followed by the “Invenit et Fecit” tagline. 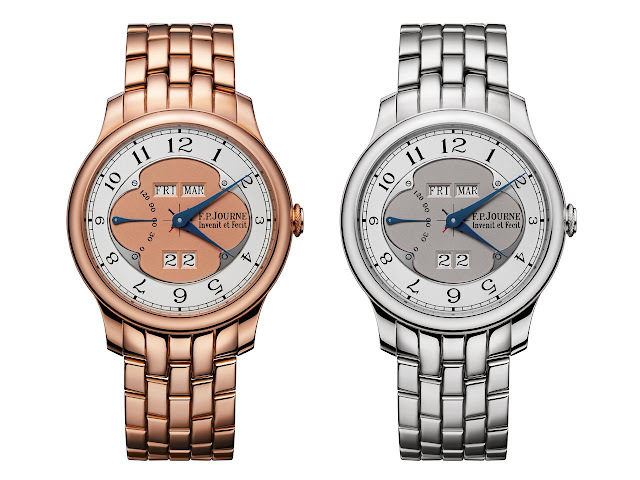 The dial is fixed by a steel circle with a silver chapter ring, a peculiar trait that adds character to the watch. The F.P. 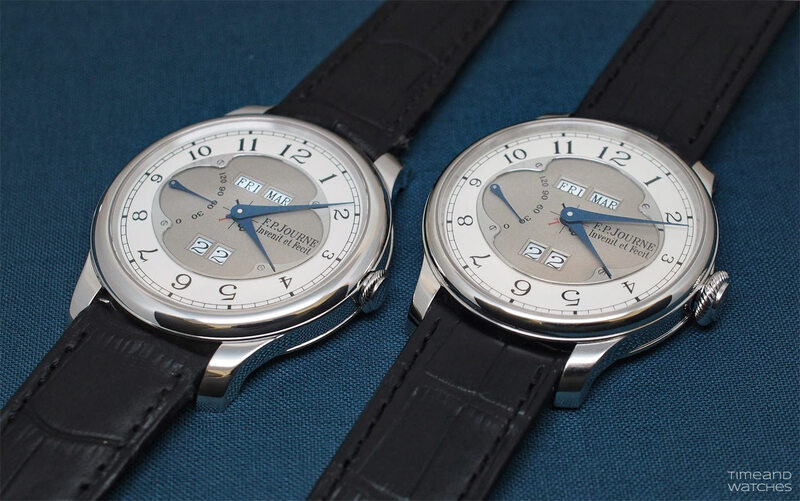 Journe Octa Quantième Perpétuel is available in red gold or in platinum with red or white gold dial, respectively. The case is offered in two sizes: 40 mm or 42 mm diameter. 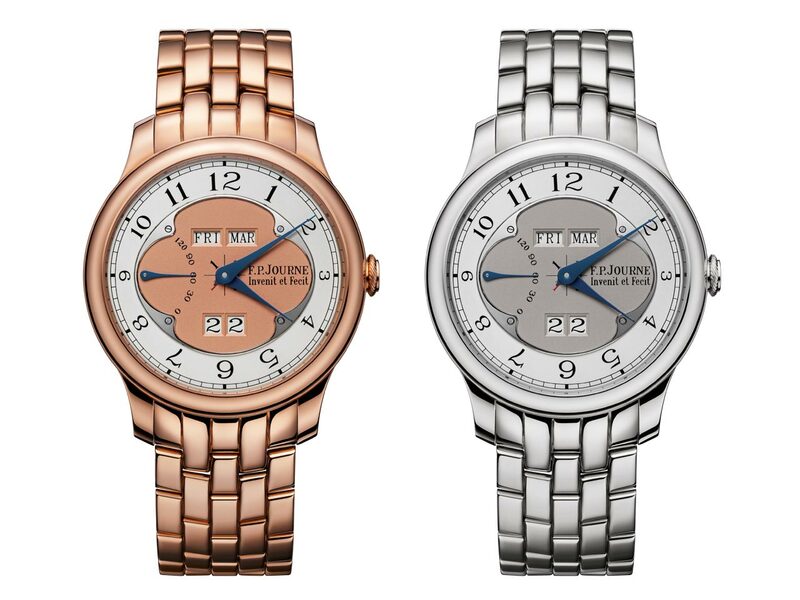 It must be noted that the dial maintains its size in both versions which only differ for the width of the bezel. 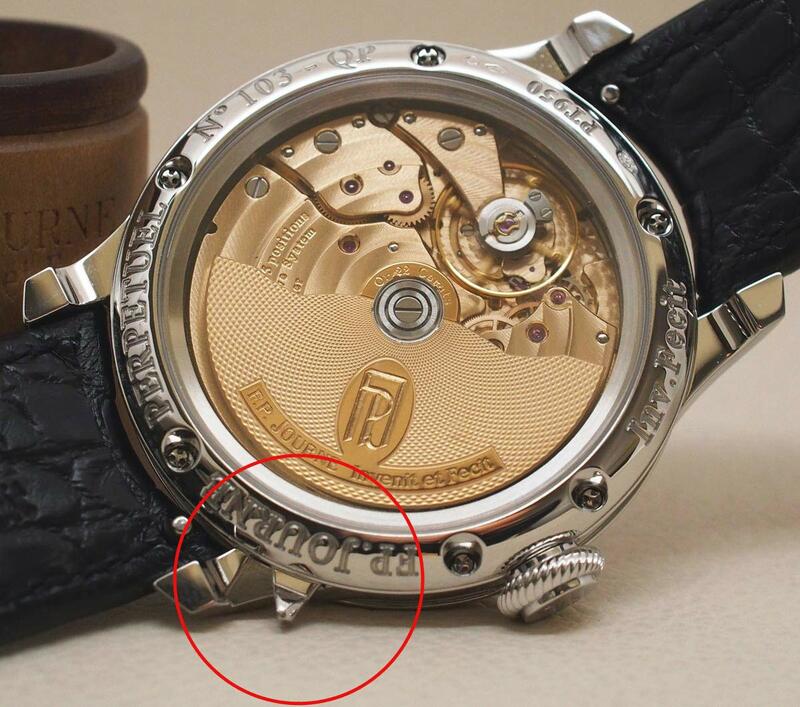 The height of the watch is 10.8 mm. 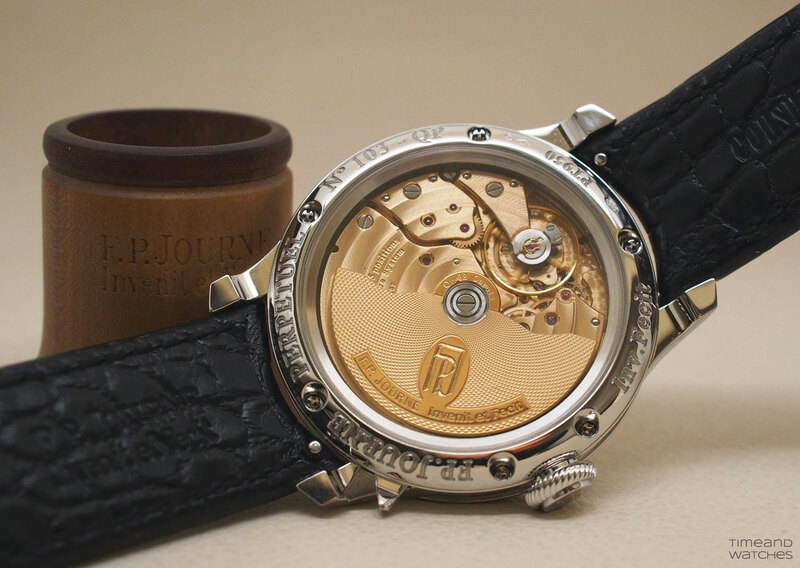 The back side of the watch is no less fascinating with its self winding Calibre FPJ 1300-3 crafted from 18K red gold. F.P. 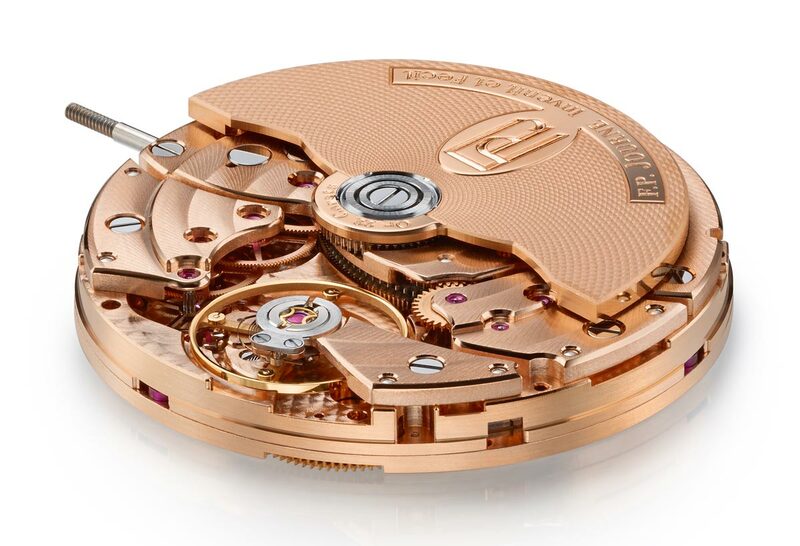 Journe is the only manufacture in the world to make the movements of its mechanical timepieces in 18K red gold, with the only exception of the lineSport and élégante models. Finely decorated with a guilloché pattern, the off-centre rotor in 22K red gold offers optimal winding of the watch for an effective power reserve of more than 120 hours. It winds the movement in only one direction with a self-blocking ball bearing system. This way, even slow movements of the wrist are fully exploited for fast winding of the watch. Beating at 21,600 vibrations per hour (3 Hz), the F.P.Journe Calibre FPJ 1300-3 is finely decorated with circular graining on the baseplate, circular Côtes de Genève on the bridges, and polished, chamfered bevels. Francois Paul Journe is the greatest watchmaker of our times! I am so surprised that they make movements in solid gold! Are there other brands that do the same? 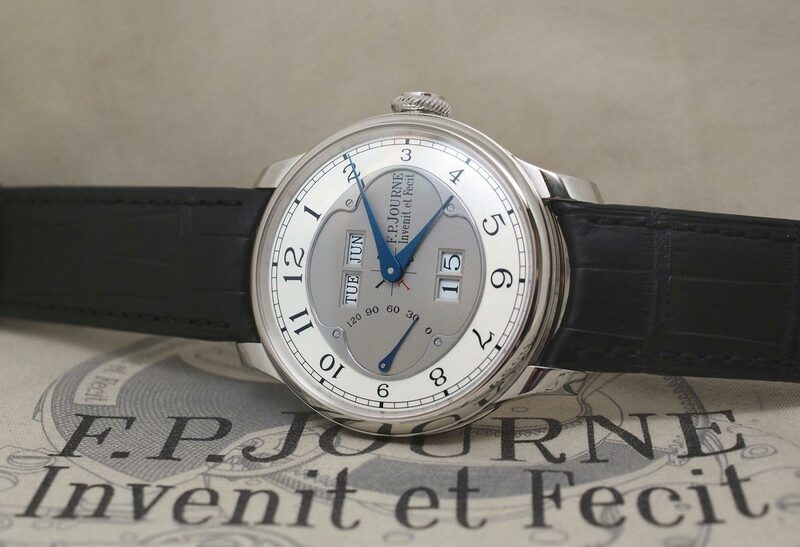 Our review of the F.P.Journe Octa Quantieme Perpétuel, a perpetual calendar watch which offers optimal readability and great ease of use. Specs and price. 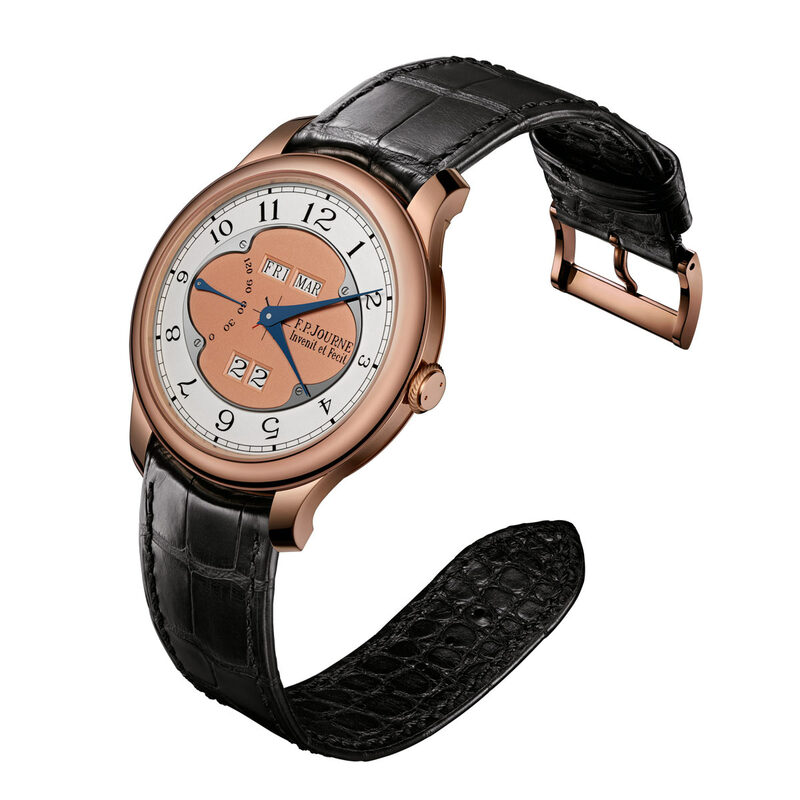 The self-winding Calibre FPJ 1300-3 is crafted from 18K rose gold.